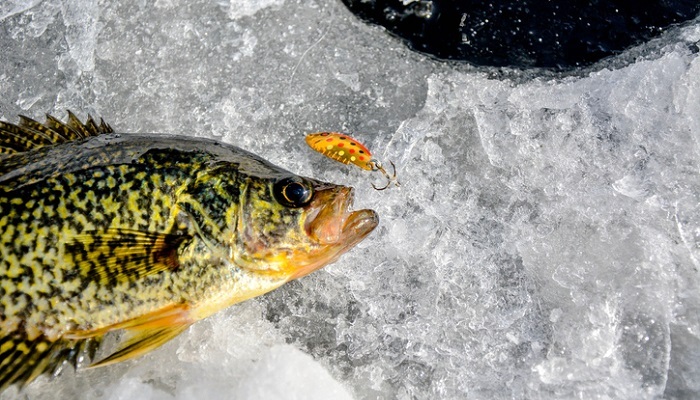 Ice fishing can bring about some of the coolest fishing stories. 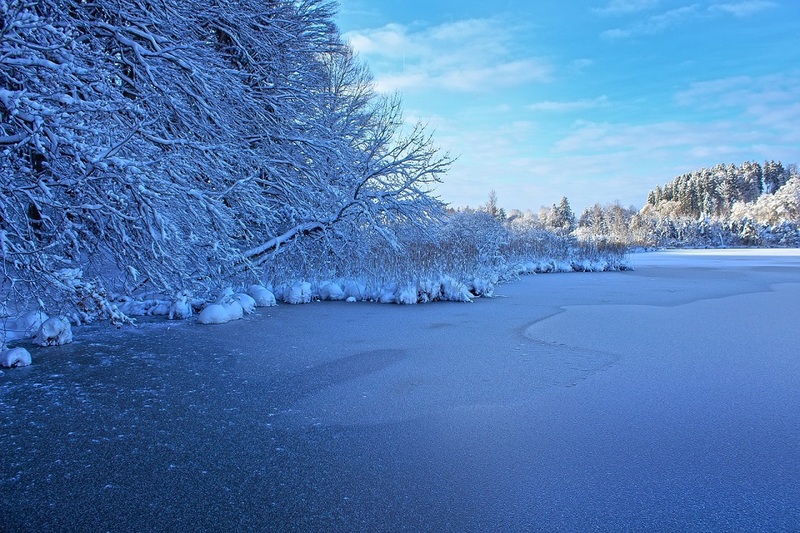 When we asked our friend, Drew Ziehnert, from Saratoga Springs, New York, if he had any to share with us, he enthusiastically answered: "As far as ice fishing stories, I have some great ones", but this recent one Drew recalls as his favorite. Last January I decided to challenge the tough New York winter and go for an ice fishing trip with my friend, Brandon Garrison. We chose Alcove Marina, on the Hudson River, as our fishing spot. As usual, I packed my essentials, including my Deeper PRO+ fish finder which comes particularly in handy for ice fishing. The river greeted us with a thick layer of ice, frigid temperatures of 10°F, and brutal wind. 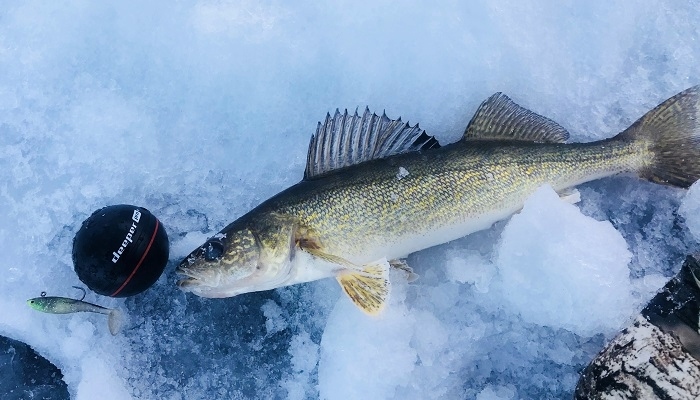 Right after unloading everything, we warmed up by doing a bit of jigging with the Deeper in my ice hut, but we wanted to get our hands on some bigger predator fish that are very common in the area. After a bit of scouting, we set out 8 tip-ups, thinking the flags would show despite the snow. Setting them up was particularly challenging because of the strong winds and snow flurries, so we wanted to be as effective and fast as possible. To save time, I used the Deeper to check the depth in every hole. This is very helpful when looking for transition zones and drops, attractive spots to both Pike and Walleye. After we set up the tip-ups, we left them and returned to our snow-ambushed shanty. We got into a huge school of crappies which kept our minds distracted from the tip-ups for a while. I went back to that same area a few days later on a solo mission, convinced it was my day to catch a trophy. The weather was a bit less severe, maybe 25°F and mild winds. The tip-up bite was non-existent, but luckily I was entertained by a decent sized group of Bluegill. Unhappy with the lackluster day of fishing, I decided to pick up the flagless tip-ups and call it a day. As I am doing this, for some reason, one of my tip-ups felt heavy, so I slowly started bringing it up and when I got my hook to the surface, it was attached to another line. It was a green tip-up line which is standard for most ice anglers and the one I always use. I clutched the line and started pulling. All of a sudden, I felt a small tug and knew there was something attached to it. I kept bringing the line in, slowly and very carefully. And guess what? I eventually pulled out a keeper size Walleye through the ice! I noticed that there was still line down in the hole and I grabbed the other end and brought it in. And wouldn’t you know... it was the missing spool from our tip-up the other day. I couldn’t believe it. I had caught the fish we lost two days ago and got my spool back that must have been laying on the bottom of the freezing river. What a nice surprise. It was my day after all. What are your thoughts on the Deeper PRO+ smart sonar for ice fishing? Deeper has a target separation of 1” which is fantastic and a very good factor for ice fishing. Most other competitive brands for ice flashers have a higher target separation of around 2”. Deeper allows me to see when a fish is almost directly on my bait instead of 2” off. It is extremely sensitive, it marks the tiniest of my tungsten jigs which is great for fishing crappie and bluegill. It’s also lightweight and wireless, so instead of having a transducer in the hole that can tangle your line when setting a tip up, the Deeper floats on the top of the hole and does not interfere with what you're doing, but still gives you the same accurate reading. Lastly, I really like the fact that Deeper can playback what you marked during the day. I can see what presentation the fish liked the most and plan future trips accordingly.